Recently There are a lot of formulas that people have added the name wing chun to for one reason or another. But we do not consider a Formula a Wing Chun Formula Unless Ip(Yip) Man had it. Other Branches of Wing Chuns Formulas are most often Family Formulas, Original Shaolin Temple Formulas, or Formulas gained through cross training in other styles. Because Leung Jan was A Famous Doctor & Fighter, The recipes he would have passed on would have been very specific, and some what different than other formulas. Even Formulas that would have found there way from Shaolin down to Other branches of Wing Chun. This is a Very Unique Formula. This is Leung Jans Formula. The Fighting King of the Wing Chun Fist. Herb Kit is Ready For Use. Simply add required amount of Alcohol, And follow aging instructions. This Formula is Called the Wing Chun Trauma Formula. The History and True Origins of this formula are a mystery. Recently There are a lot of formulas that people have added the name wing chun to for one reason or another. And we have even seen this Formula Translated incorrectly, and reprinted several Times. But we do not consider a Formula a Wing Chun Formula Unless Ip(Yip) Man had it. Other Branches of Wing Chuns Formulas are most often family, Original Shaolin Temple Formulas, or Formulas gained through cross training in other styles. Because Ip Man's SiGung (Leung Jan) was A Famous Doctor & Fighter, The recipes he would have passed on would have been very specific, and some what different than other formulas. Even Formulas that would have found there way from Shaolin down to Other branches of Wing Chun. This certainly is not a Leung Jan Formula, but is does bare some similarities not found in most Jows of other arts, which hints at wing chun or at least southern Gung fu Roots. 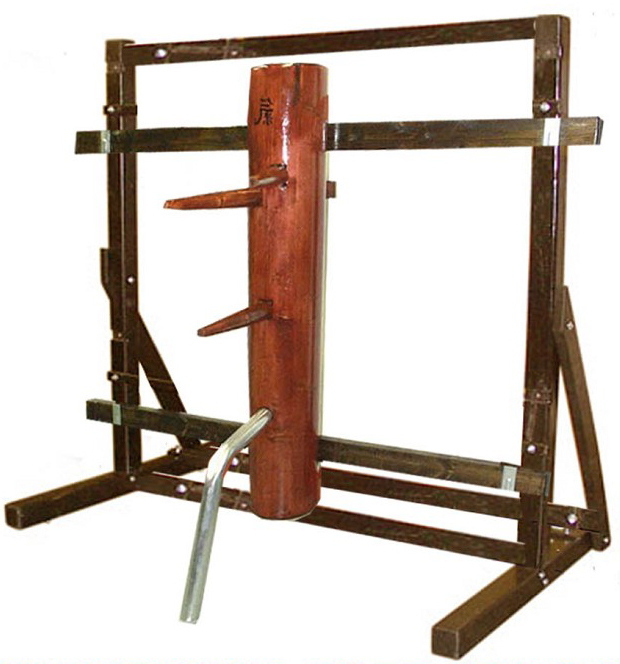 It is said to be preserved from a Wing Chun Group in the 1950's in Hawaii. We leave the name Wing Chun in this Formula Because if this origin is true this formula has carried the Wing Chun Name for 60 Years. 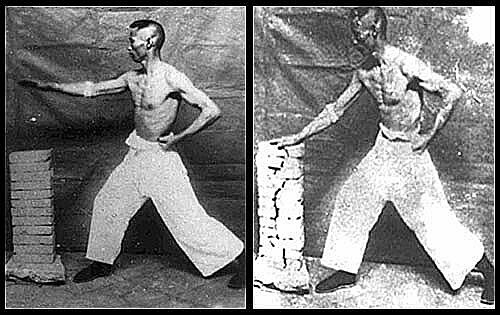 It must be mentioned however that Ip Man was the first to openly teach what was a very secretive art, even within the walls of Shaolin. He began to openly teach when he moved to Hong Kong in 1950. No one of Ip Man Lineage would have had that information that early. So any Wing Chun In Hawaii in the 1950's was not from Ip Man. In Fact the Earliest record of any form of Wing Chun to Hit Hawaii, was not until some where between 1971 & 1973. When 2 Ip Man Lineage Sifus Began Teaching (1 a First Gen. the other 3rd Gen.) Au Chi Keung & Robert Yeung. Even if the Formula Came from either one of them it has still would have carried the wing chun name for nearly 40 yrs. So we leave it in the Title. The Herbs in this Formula have been Traditionally used to:: Reduce Swelling, Alleviate Pain, Invigorate thd Blood, Promote Movement of Qi, Disperse Cold, Expel Dampness, Break Up & Move Blood Stasis, Warm the Channels, Promote Circulation, Open the Nasal Passages, Relax the Sinews, & Invigorate the Channels. This Dit da jow Recipe has its origins with Monk Jiang Nan of the Shaolin Monastery. Shaolin Iron Fist Wine is a Powerful External Iron Skill Training Formula. Ideal for all Iron Fist, Iron Palm, Shin, Bridge or Shirt Conditioning. Also very useful for older chronic injuries. As well as injuries that are past there inflammation stage. Developing hard External Force like the Iron Fist can be damaging to a Martial Artist. It is Necessary to Apply Dit Da Jow Before & After Training to prevent or help heal any injuries. This External Liniment is useful for relieving training injuries like Bruises, Pain, Swelling, Blood Clots, Energy Blockages at the Superficial level, and other Traumatic Injuries Sustained through hard Force training or Sparring. It also helps to promote the proper flow of Qi & Blood as well as having several aromatic herbs to regulate the breath and release the Lung Qi. Necassart for proper breathing, but also to release the energy to the kidneys to strengthen the Sinews & Bones. A Powerful Formula for all Conditioning & Iron Skill Training. This Formula Has a Sweet Aroma & A Wraming Effect that can be Felt Quickly. This Dit da jow herb pack contains well over a pound of whole Chinese herbs. A truly massive herbal formula. Prepared to the exact formula specifications. Deemed to powerful by the T.C.M. Doctors it has been shown to. Which is a true sign of its Shaolin Origins. Composed of many rare and expensive herbs. This pack is enough for one gallon of extremely strong Dit Da Jow Liniment. THESE ARE THE SAME REGION SPECIFIC HERBS THAT WERE USED FOR CENTURIES AT THE LEGENDARY SHAOLIN TEMPLE. Herb Kit Comes Fully Prepared. Simply added required amount of Alcohol, and follow included aging instructions. This is the Dit Da Jow Formula of Wong Fei Hung, Folk Hero, Martial Legend & the most Famous Hung Gar Practitioner of all time. This Formula has also been called 10 Tigers Dit Da Jow after the famous Ten Tigers of Guangdong (Canton). 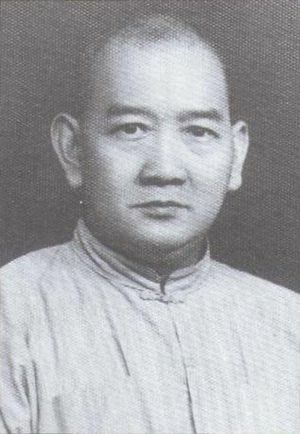 Wong Fei Hung is often mistaken as a member of the 10 Tigers, But he was not, his Father Wong Kei Ying was. Wong Fei Hung is more appropriately referred to as The Tiger after the Ten Tigers. Besides being a Martial Artist Wong Fei Hung Was also a Doctor. As a physician, Wong practiced and taught acupuncture and other forms of traditional Chinese medicine at Po Chi Lam, his private practice medical clinic in Foshan, Guangdong , China. A museum dedicated to him was built in Foshan. The Herbs in this Formula have been traditionally used to: Invigorate the Blood, Break Up & Dispel Blood Stasis, Alleviate Pain, Disperse Cold, Reduce Swelling, Expel Wind & Dampness, Release the Exterior, Moderate Spasms, Strengthen & Promote Healing of Sinew & Bone, Invigorate & Unblock the collaterals, Promote Healing Topically, Relax the Sinew. This is the Dit Da Jow Formula of Ku Yu Cheung. Ku Yu Cheung was a famous Master of Northern Shaolin Kung Fu & Tai Chi. He was famous for his Iron Palm Technique. The Picture of him breaking 12 Blocks with a single strike is synonymous with Iron Palm. Also well know for Iron Body Skills. Praying Mantis Gung Fu has a long history & Tradition. There are many branches of both the Northern & Southern Schools of Praying Mantis. Many of these Branches also have a long history of Die Da (Dit Dar) Medicine. Especially the Southern Branches. Many of these skills would have been passed on by the famous Mantis Practitioner Lau Soei, Gained From his Teacher's (Chow Ah Naam) Experiences at the Southern Shaolin Temple. Some Southern Branches are famous for there Hong Kong Dit Dar Clinics that Double as Schools at Night. Herb Kit will Make 1 or 2 Gallons depending on Kit Purchased - Herb Kit Comes Fully Prepared. Simply added required amount of Alcohol, and follow included aging instructions. OUR USE THE NAVIGATION BAR AT THE TOP OF THE PAGE.